Much of the interaction of youth with new literacies happens outside the formal school setting and in community educational spaces according to the authors featured in the second section. 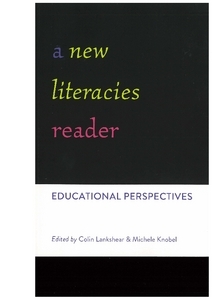 The editors take the reader on a journey through selected environments wherein students explore unique creative interests as a way of stimulating the pedagogy of an educator. Hip-hop and turntables are recommended as a way to look at how young people integrate meaning into their lives, as is digital storytelling, and playing with various forms of circuitry. The reader cannot help but be intrigued by how these structures and experiences can bridge the outside interests of youth with the school setting and add a high interest hands on experience for both the gifted and the disenfranchised.